Sport possesses a unique ability to bring vastly different people together and begin the process of reconciliation. The post The remarkable power of sport to bring about reconciliation appeared first on The South African. The Rugby World Cup Final in 1995 is often held up as a shining image of the power of sport to bring about the most remarkable reconciliation. The image of Nelson Mandela, clad in a Springbok jersey, handing the Webb Ellis trophy to Francois Pienaar is a potent one and inspired a Hollywood adaptation of the story but over time that heady feeling of unity faded. There are myriad reasons that people, all over the world, cannot be reconciled to one another and no amount of opinion pieces about Madiba magic are going to change that but there is still a role for sport to play in bringing people together. Sport has enormous cultural reach and can be used as a tool for nation building or it can be used to sow division and entrench oppression. Under apartheid sporting achievements were held up as examples of the excellence of white South Africa while people of colour were denied access to all but the most basic of sporting facilities and were barred from representing their country. After 1994 sporting teams began welcoming non-white players into their ranks signaling the end to the prohibition on Black representation in South Africa but not the end of division. There is still much to be done to ensure equal access to sport for all South Africans, and many who are opposed to the process of transformation. There has been progress though in terms of reconciliation as the already fully integrated professional football system in South Africa continues to bring together South Africans of all races, Cricket South Africa drives grassroots developments with its RPC Hubs and we consistently churn out sporting heroes from all walks of life. Sport illustrates in full living colour how we are different from others, it tells us who is stronger, faster and better and shows us who has and who doesn’t have in so many ways but it also shows us what we have in common. 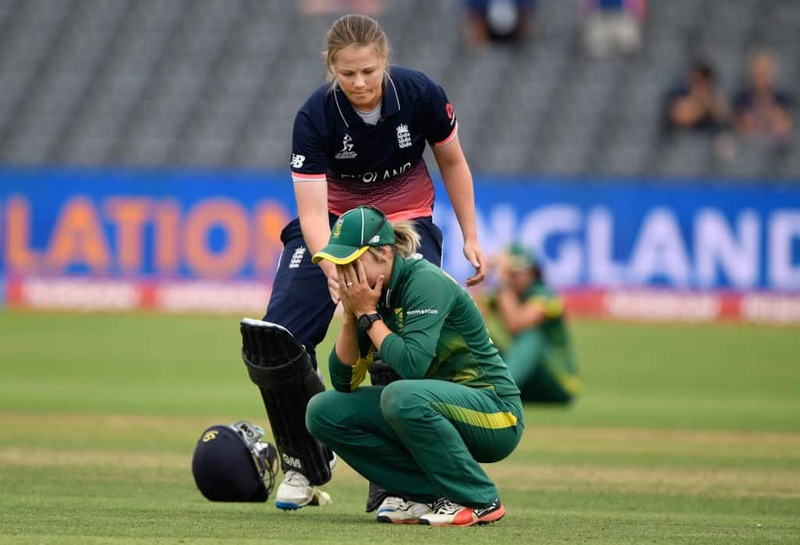 Everyone who has played sport at any level or even supported a team knows the agony of defeat and the joy of victory. Images of sportspeople celebrating victories or enduring defeat transcend language and invoke and emotional response in all of us. Sport teaches us that other people, like us feel pain and loss as well as joy. Something sport has been quite good at is the grand symbolic gesture. From a united Korea competing at the Olympics to the Irish rugby team coming together across lines of nation and religion to compete together. As South Africans we have been treated to sports teams that have punched above their weight on the global stage and given us an enormous sense of national pride and with that a certain togetherness, whether it is Banyana Banyana making it to their first FIFA World Cup or Caster Semenya dominating the 800m in international athletics or the Boks beating the All Blacks. Sport will continue to galvanize us as South Africans and hopefully it will inspire us to learn how to play as a team and pull together for the common good and for the betterment of our society. We cannot change the past nor can we bury it and forget about it, to move forward we need to be reconciled as a nation. One of the ways we can do that is by coming together around sport and other social activities and by recognizing the humanity that is common to each of us. Back in 1995 the country came together in a big way and it was something very real, the event connected people with one another which is the beginning of reconciliation. Sport may not be able to heal the deep wounds in our past but it can bring us all a little closer together.